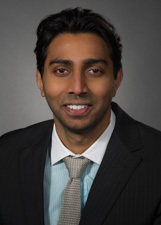 Sreevathsa Boraiah, MD is an orthopaedic surgeon specializing in adult reconstruction and hip preservation surgery at Long Island Jewish Medical Center and North Shore University Hospital. Dr. Boraiah earned his medical degree from JSS Medical College, one of the top five medical schools in India. He finished his residency at Westchester Medical Center, New York Medical College and completed his specialty adult reconstruction fellowship at NYU langone Hospital for Joint Diseases. Dr. Boraiah also completed a traveling fellowship at University of Zurich, Uniklinik Balgrist and Schulthess Klinik, Switzerland in hip preservation surgery and anterior hip surgery. He is an active member of numerous professional societies, including the American Academy of Orthopaedic Surgeons. Dr. Boraiah holds multiple patents in medical devices and has an active interest in basic and clinical research related to hip and pelvic surgery. Dr. Boraiah specializes in anterior hip replacement and knee replacements. He also specializes in complex revisions of hip and knee replacements and computer assisted surgery. "I am not a person who describes my pain very well. I tend to understate pain. so I think to the PA and Doctor I looked like someone who wasn't in a lot of pain but I am. I had a negative X-ray but I feel something is wrong with my left knee and the doctor didn't hesitate to send me for an MRI. I am grateful for that since I am in pain." "I will refer him to others"
"The visit took less than 2 minutes but I was sent for further testing (MRI) so hopefully once those results are in, my follow up is a bit more fulfilling. Doc seems knowledgeable and all staff super nice and efficient"
"I'm very grateful and would like to thank all the doctors and nurses who has taken care of me while I was in the institution." "I'm very pleased with my visit. I was treated well and I asked as many questions I had in regards to my concern, which was answered by the doctor. Thank you again"
"Dr. Boraiah came highly recommended by Dr. Keith Reinhardt. Very grateful." "He's wonderful, a very nurturing provider." "I am so pleased with my surgery the doctor did a great job very keen at what he does I would certainly recommend him." "Dr. Boraiahis an excellent doctor and surgeon. I am fortunate and blessed to be. under his care. I would recommend him to anyone without hesitation. Fabio, his Physician Assistant is winderful, and Jessica, Dr, Boraiah's Scheduler is very helpful and efficient." "Dr. Boraiah was great! He explained my condition in a way I could understand and how he could help me. His team was also very clear about my treatment. It was a very positive experience." "Dr. Boraiah very nice & takes time to answer my questions - not all doctors do that." "I have not had my hip replacement yet, but si far, I feel Dr Boraiah is well trained and competent.. i believe he cares about hos work and patients." "the entire team is just awesome they are also courteous and helpful making you feel welcomed"
"Yes, I would recommend my healthcare provider to my friends and family." "Doctor Sreevathsa Boraiah is wonderful, he's kind and he makes sure you feel comfortable. He takes the time to explain what the problem is and how it can be fixed if possible. I would not trade my Doctor for anything." "I have a high regard for Dr. Boraiah & his team. He is intelligent, kind & an excellent surgeon. #9. ++++. " "I have already referred friends to Dr. Boraiah"
"nursing staff, pa's and the doctor , excellent"
"Dr. Boraiah has a very unique ability to calm you down and make you confident about your condition." "I have had previous experience with the specific care provider, which were fantastic and would recommend him to anyone that could benefit for the care he can provide." "The provider was calm pleasant explained this findings in a professional manner without creating any fear." "Excellent service I will recommend this practice to my friends and family." "Dr. Boraiah was a very calm person. He was kind and understanding." "Rushed through visit, showed no care for my concerns with my leg, didn't seem to care about me as a patient"
"fantastic caring DOCTOR and an awesome person !!" "Very nice and very good Surgeon!" "I have recommended him to several others who also liked him." "Good experience through & through." "I feel blessed to have been put in his care." "i definitly recomend to every body"
"I trust him as my Surgeon." "The man did a fine job." "When my knee (torn _____) I called this practice and asked for an appointment to see a Dr. who worked on knees ASAP. They gave me Dr. Boraiah the next day (probably because he was young and new and more available). He is very nice and gives off a feeling of confidence and knows what he's doing. He even called me back one night when I had a question about meds." "MD Rx was for me to get physical therapy and it has definitely helped me." "I had previous recommendation for this provider I would recommend him to others." "Would recommend this facility to friends and family." "when I left the office, I felt like the answers to my questions and diagnosis were very vague. I didn't feel much detail was given and I had to push to get answers. I did not feel the Dr was compassionate to the possibility of me needing a hip replacement." "Dr. Boraiah & his staff are concerned & thorough, always returned calls & questions promptly." "Dr. Boraiah helped me get through an extremely rough ordeal, with sincere, honest conversation." "Dr. Boraiah was very professional, knowledgeable, caring, patient and an excellent listener. He answered my questions and was very reassuring." Mark O’Mard was sidelined with osteoarthritis, but hip replacement got him back in the ring and winning martial arts and MMA bouts. A novel hip replacement helped Mark O'Mard beat osteoarthritis and return to competitive martial arts. 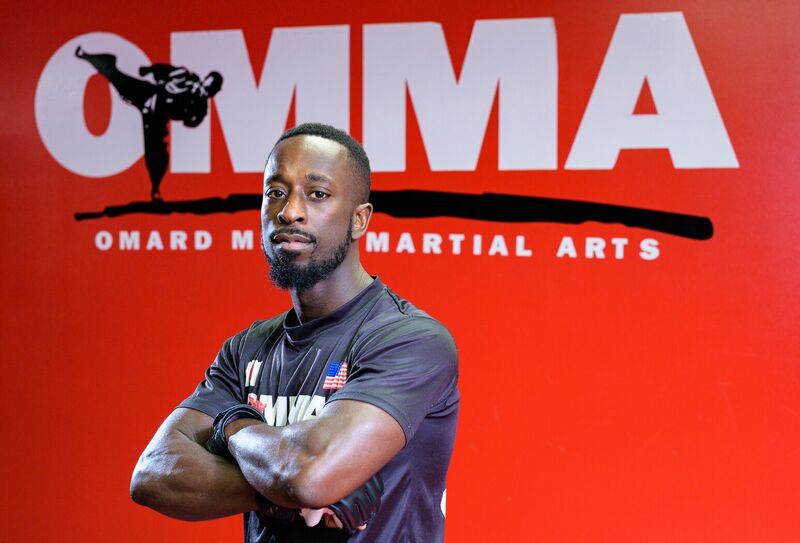 An unconventional hip replacement helped Mark O’Mard return to mixed martial arts.